The law can do a lot. Lawyers can do even more, especially a hot-shot-lawyer like myself. But there is one thing that even I can’t do: I can’t force people to love you or to be faithful. Read this request from an Iranian lady living in Germany who wanted me to fix a problem between her and her Eritrean boyfriend. I found out something terrible!! My boyfriend has been cheating on me for more than 6 months and dating a German girl. I want to take a legal action against him. Could you please tell me how I can do it in Germany? The simple truth is that the law doesn’t care about love or emotions. I agree with that. There are parts of life which don’t need to be subjected to statutes, codes and trials. With love, things sometimes work out, sometimes they don’t. If they don’t, you move on. Don’t make the same mistake as all the divorcing couples who are only making the lawyers rich with their years of fighting. By the way, for those who are curious, the same would apply if the couple in question had been married. There is no strict enforcement of marital fidelity. And how could there be? Do you want the bailiff or the sheriff to follow your spouse day in, day out? However, infidelity in a marriage can have legal repercussions in a divorce or an alimony case. I am shocked and saddened to hear about this. But this is not really anything that the law has a remedy for. Cheating is wrong and immoral, but it is not against the law. My personal advice would be to remove him from your life, concentrate on your work and your career or on other things that are important to you. It won’t be easy, but I think you will need to make a cut in that relationship and move on. I don’t know if they ever got back together. This entry was posted in Family Law, German Law, Law, Life, Marriage and tagged Love. Bookmark the permalink. Agreed. The law SHOULD have nothing to do with affairs of the heart. Let it deal only with financial matters resultant. I don’t fully agree with this post. I think there is a special kind of crime involved in breaking another’s heart. There have been studies which suggest social pain is processed in some of the same regions of the brain as physical pain. Physical and emotional wounding can be equally debilitating. That being said, it’s not as irrational as it might seem that this woman wishes to press charges against her boyfriend. I’m not rationalizing this one way or the other, but these findings make one wonder to what degree our behavior in our romantic relationships borders on criminal activity. 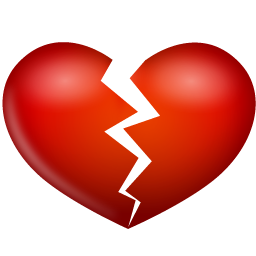 In some states of the USA a betrayed spouse can sue the Other Person for something called “Alienation of Affection” – ridiculous as that is……. But I assume the remedy is a monetary one, and not the reinstatement of the affection? The affection was gone beforehand. Affairs are not the cause of a relationship breaking down, they are a symptom and a sign that it has broken down. As far as I am concerned the whole “Alienation of Affection” nonsense is pure and simple revenge.. The origins of this law go back to the bad old days where a wife used to be considered “property” of the husband, so any extramarital shenanigans were seen as “theft” of the property…. By the way, for those who are curious, the same would apply if the couple in question had been married. There is no strict enforcement of marital fidelity. And how could there be? Do you want the bailiff or the sheriff to follow your spouse day in, day out? How much would this little service cost? My borblem is i dnt speak the same laguage.I live with them most of times i feel bad and uncomftable i dunno why.he sometimes wake me up to cook for him becouse his granmother is there .she only liked one daugther in-law her sons wifes dnt get long with her and 2 of them got divorce one of them got fight with her she also use to stay with them :( .i dnt knw. i love my husband but he is too close to his family im afriad he dsnt even see ther mistakes once i told him how i feel he cldnt believe it he told me i maybe im sick he shall bring to hospital it was hearbroken i maybe have (scitsphreni) he said its only they see me as an daugther i thing his granny is manipulive women controlling like if he is there she will talk to him we are sleeping she will call hi, to fix things his brother she never ask him to do..when im in the house (grandmother )fallow me to see what im doing in the kitchen if i eat i feel uncomftable alot. i sometimes feel like leaving .i feel like they dissrespect me like im slave of their son..she talk and aks a lot of questions .if i make my countries food and he likes it she will ask him why he likes and why he dsnt like their own food. when i first got there she told him to not buy for me bus ticket its expensive.she sometimes ignore me im talking like showing her somthink and she ignores me. :( i dnt knw what to do but i deffinetly dnt wnt her to be in my life .i will do everything it takes to get red of her..but she is not only broblem like his brother ask him to drive and after while he goes like i will take a bus becouse im coming with him 2.i dnt knw i maybe im missunderstand but after thinking a lot i supose to take care of myslf and should not put myslf into posisions where i feel uncomftable.he likes rather watch tv or sufr on net and hang with his friends or sleep than chill with me. anywaz i will see how thinks turn into.